Pictures? Did I Promise Pictures and Stories? 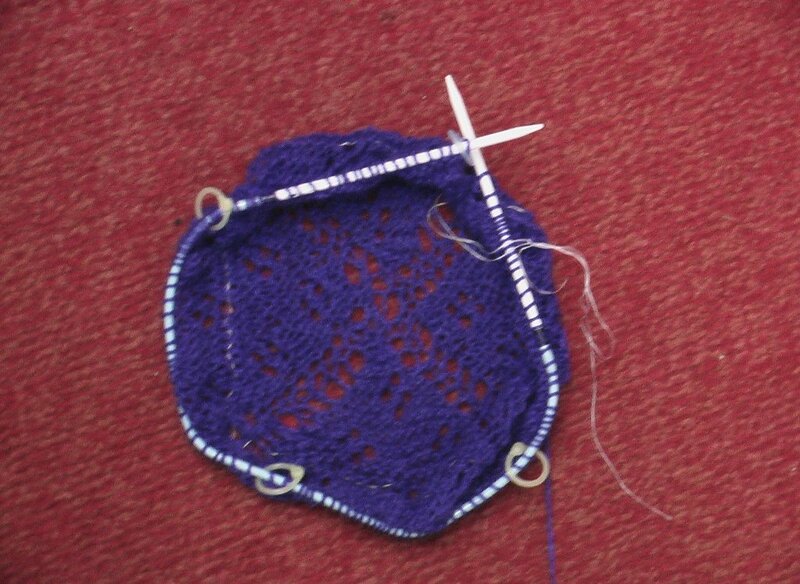 The first photo is the center of the paisley shawl revisited, taken somewhere around August or September '05. 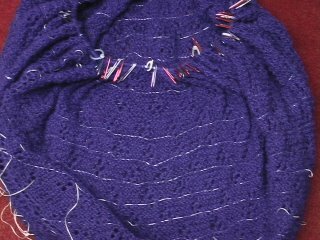 The bottom picture is last week at row 12 of the 20 row border. Today I'm on row 15 but I missed a lot of YO's last night in the first quarter so I'll have to correct that on the purl row. Finish line almost in sight. I start my summer Beginning Crochet Class on June 24 from 10:30-12:30 on Saturdays for 6 weeks. 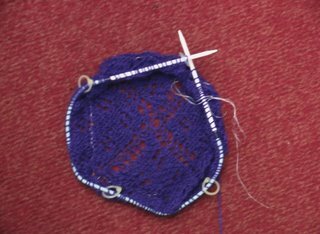 If you live in Metro Albuquerque area and want to learn crochet, go to UNM's website and find Continuing Education's online registration. Please come -we'll have fun and learn something new. Studies show if you continue to learn things like crafts that require "math" calculations,counting, etc., or languages, etc. you fend off the beginnings of Alzheimers' and Dementia. So come protect your Brain- learn crochet this summer, beginning and intermediate knitting and crochet this fall, and sock knitting this fall. I've started the ladder yarn poncho for my girlfriend and I'll take pictures this weekend.I tried three different needle sizes, 15, 35, 50, and ended up with the 15's in bamboo after all. I might do the next one[NEXT ONE?!!!@@#!!!!????!!!!] with 10's and see what happens.I'm liking the stockinette stich for this one so far. I tried garter which is undoubtedly easier but I didn't like the fabric results. I'm also using bamboo needles -those of you who know me know I'm a product of the 60's, 70's, and so on, when Ben Franklin stores and Woolworth's only sold plastic, baleen, and metal needles, so wood is hardly ever my first choice. Odd, because I should like them... I just don't think about them. 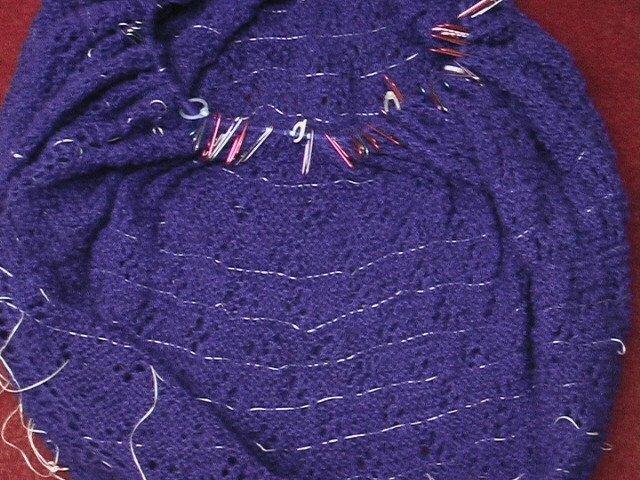 Anyway, I changed to bamboo for this poncho after having my plastic needle slide right OUT of my hands and stitches. The bamboo grabs the yarn better - almost too much. My son is at the Skills USA National Competiton in Kansas City this week. Haven't heard from him so he must be busy, having fun, and still have money. He'll get home Saturday.